You don’t have to juggle multiple job postings. Or wade through countless resumes and interviews. 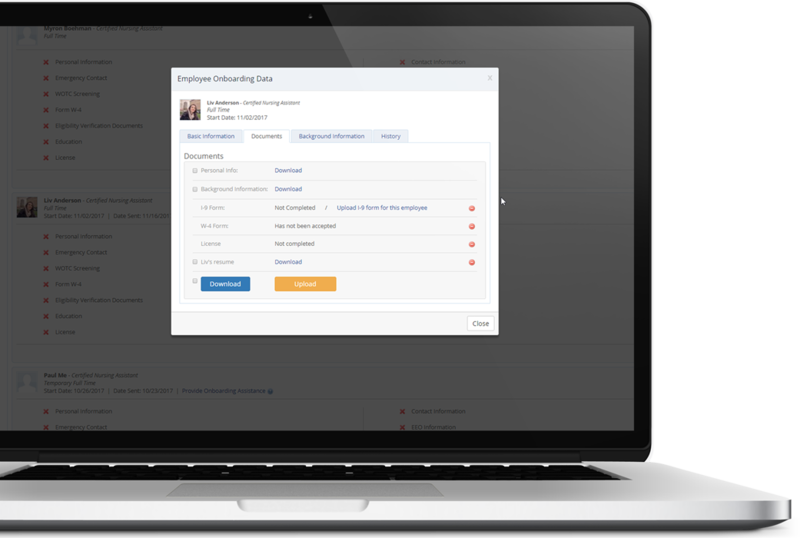 The SmartLinx applicant tracking system (ATS) streamlines your entire hiring process, from job posting through onboarding. Happy hiring. 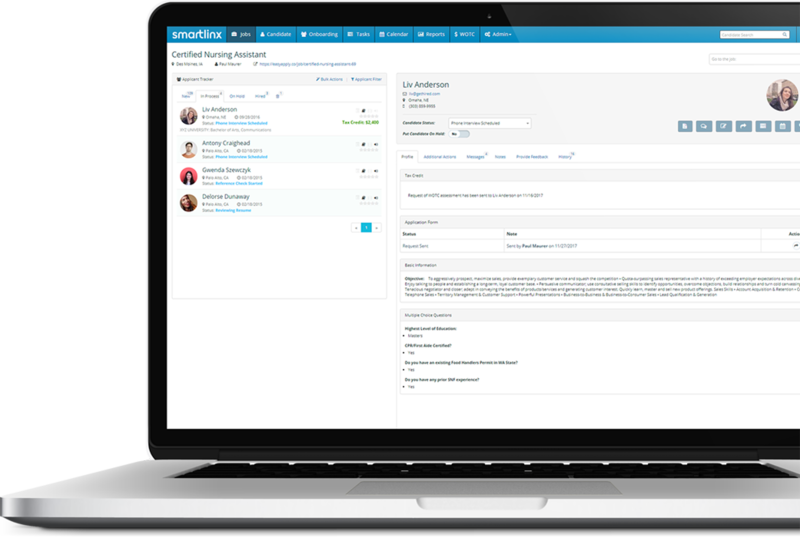 Applicant Tracker makes it easy to find the right people, faster. Create a job posting in minutes. 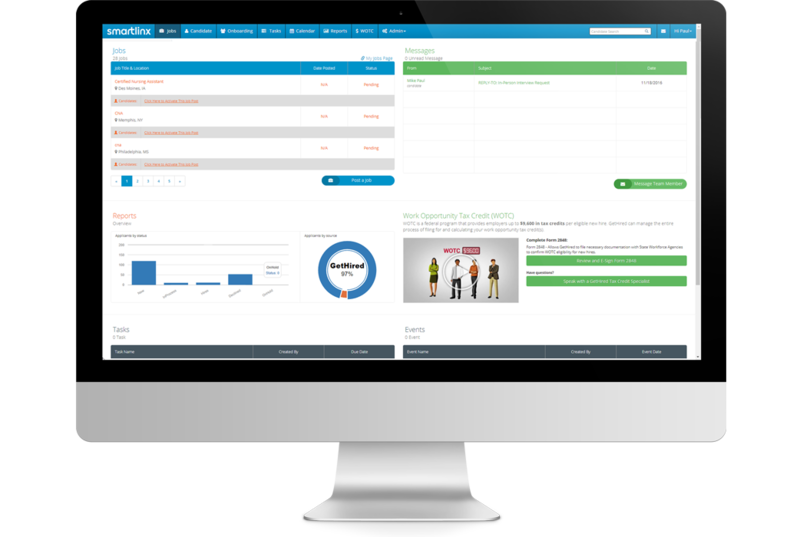 Add pre-screening questions, automated phone interviews, and even video. Then post on your website, job boards, and social media with just a click. 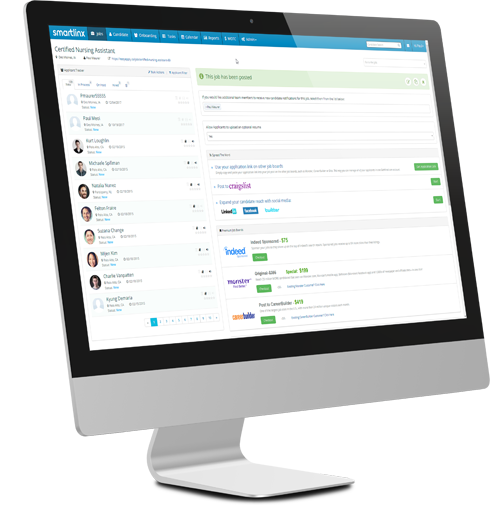 As candidates begin to apply, Applicant Tracker neatly manages all your applicants. With a few clicks, everyone on your hiring team can review and evaluate everything from resumes to recommendation letters, effortlessly. Once you’ve identified candidates you’d like to interview, select available times in your schedule. Applicant Tracker will invite and confirm candidates, then notify you and populate your calendar automatically. 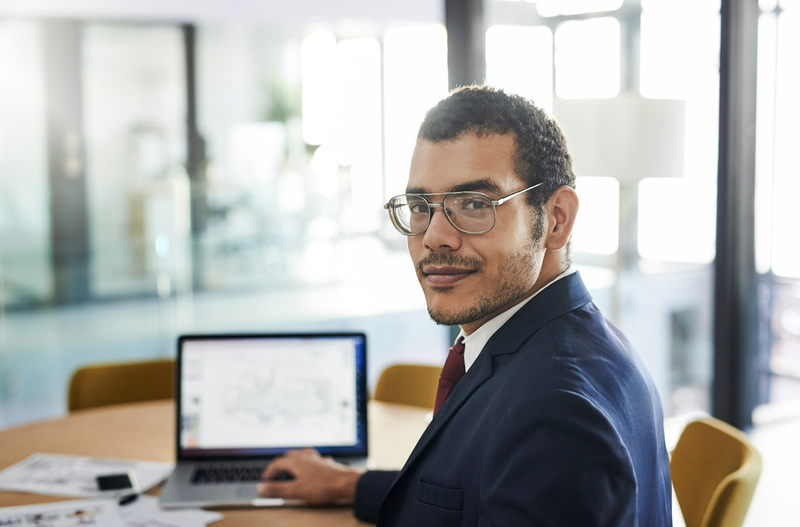 From applying for Work Opportunity Tax Credits to onboarding, you and your entire hiring team can handle the whole process in a single, integrated system. Get your new hires on the schedule, ready to clock in, and set up to get paid instantly. "One of the highlights of SmartLinx ATS is the WOTC or the Work Opportunity Tax Credit, which could really pay for the applicant tracking system. 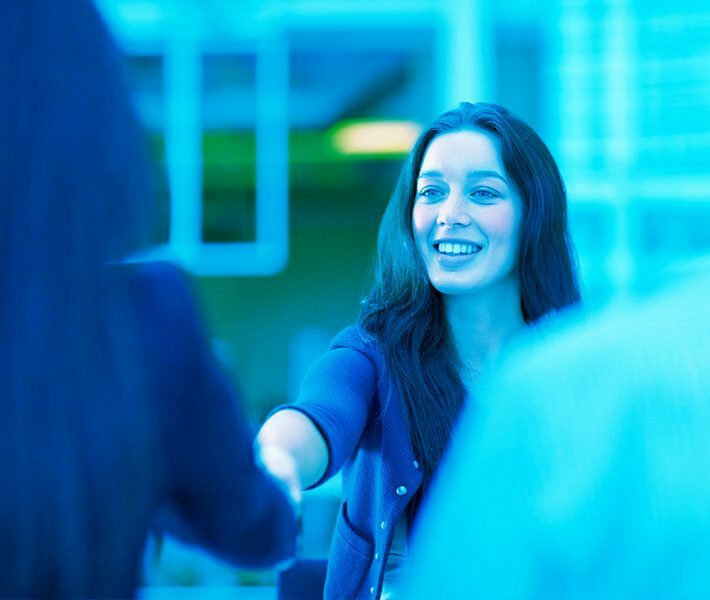 You also know that you're hiring a candidate, that you're helping their situation, and you could be changing their life by helping them get a job."